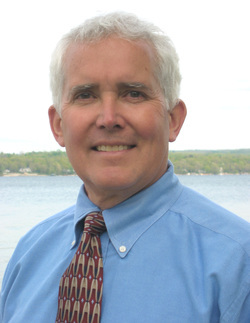 ​As a member of the community since 1976, I'm a real believer in Canandaigua as a great place to live. It's nice to be able to use the knowledge acccumulated during a lifetime of experience on Canandaigua Lake and 35 years as a property owner in Canandaigua to help others with their own real estate decisions. 30 years of experience in the design and healthcare industries provided me with management and financial skills that I try to use to help clients with the increasingly demanding administrative aspects of buying or selling a home. Academic and professional credentials include: BS Mechanical Engineering - Clarkson University MS Industrial Management - Clarkson University MS Accounting - Rochester Institute of Technology Licensed NYS Real Estate Sales Person, Member Greater Rochester Association of Realtors, New York State Board of Realtors and the National Real Association of realtors.